There are many options to consider when looking for a tax advisor. 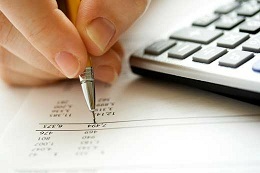 CPAs and Enrolled Agents all offer various types of tax services. CPAs are licensed by individual states and have strict licensing and continuing education requirements. A qualified Certified Public Accountant generally provides a more complete list of tax services than other tax advisors and can do much more than prepare your annual tax return. The most important thing to look for when hiring a tax advisor is to find someone that you trust to advise you on your tax and financial issues on an ongoing basis. At Professional Tax Resolution, all of our Irvine CPAs have over 15 years of experience providing tax preparation, planning and settlement services. Our focus is not only to provide solutions for existing tax problems, but also to prevent them from happening in the future. Our Irvine CPA tax professionals proudly serve Orange County, California, and the rest of the nation.